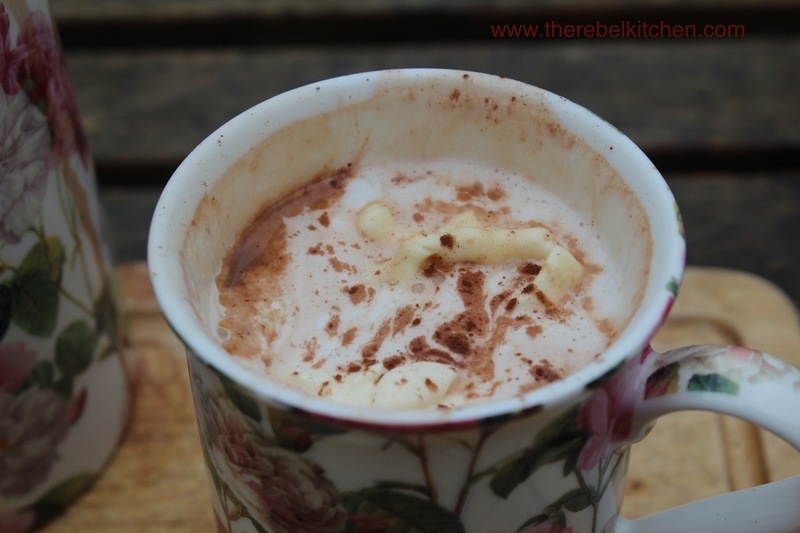 One of my favourite treats is hot chocolate, and in cold, wet, windy weather (which we unfortunately frequently have in Ireland), hot chocolate is just the thing to perk me up. I usually have my hot chocolate plain, but over Christmas I decided to spike mine with a shot of baileys and add a spoon of brandy cream on top. 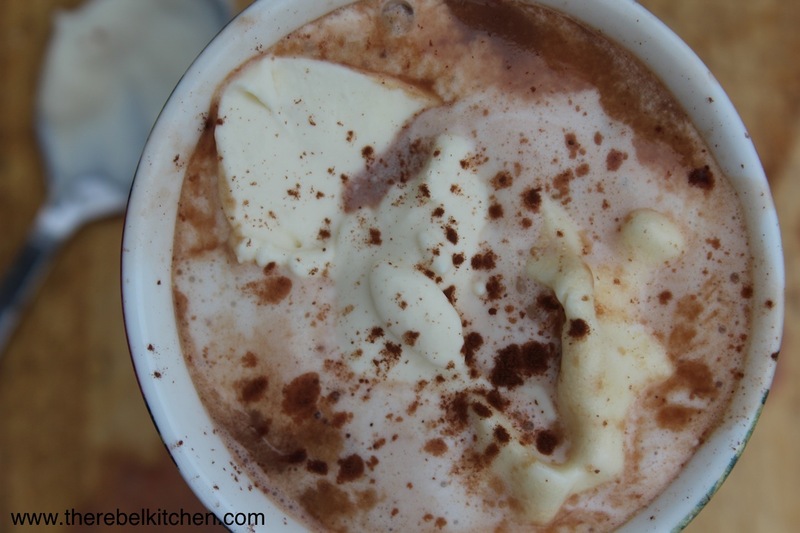 The perfect hot chocolate is made with real chocolate, so don’t bother making this with the instant hot chocolate powder. I get hot chocolate kits from O’Conaill’s chocolatiers in Cork that has a bag of cocoa and a bag of chocolate drops. But if you have a tub of cocoa powder, just buy a bar of good chocolate and chop it into little chunks. 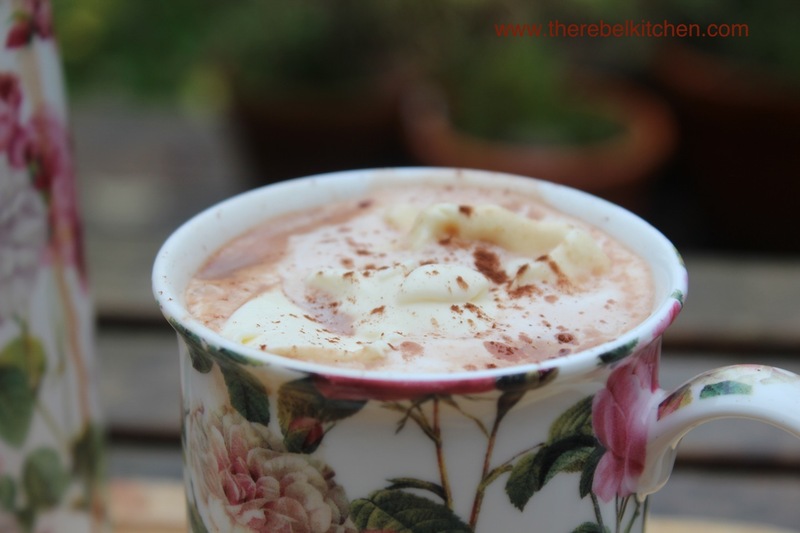 The flavour, thickness and quality is a thousand times better than hot chocolate powder or granules. I know it’s January and most people are on juice diets etc, but for those people who are still enjoying a comforting treat in this wet, windy weather, give this a go. It’s delicious. Whip the cream and stir in the brandy and icing sugar. Add a little more brandy if it needs a little kick. Pour the milk into a heavy bottomed pot and add in the cocoa, whisk it continuously on a medium heat for a few minutes and then add the chocolate pieces, keep stirring until melted. 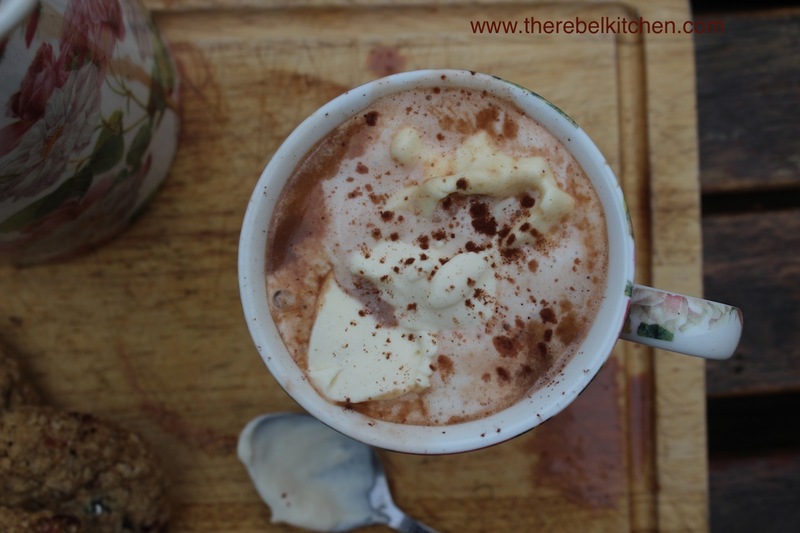 When the hot chocolate is hot enough (don’t let it reach boiling point), add the Baileys, just a minute before serving (you don’t want the alcohol to burn off). 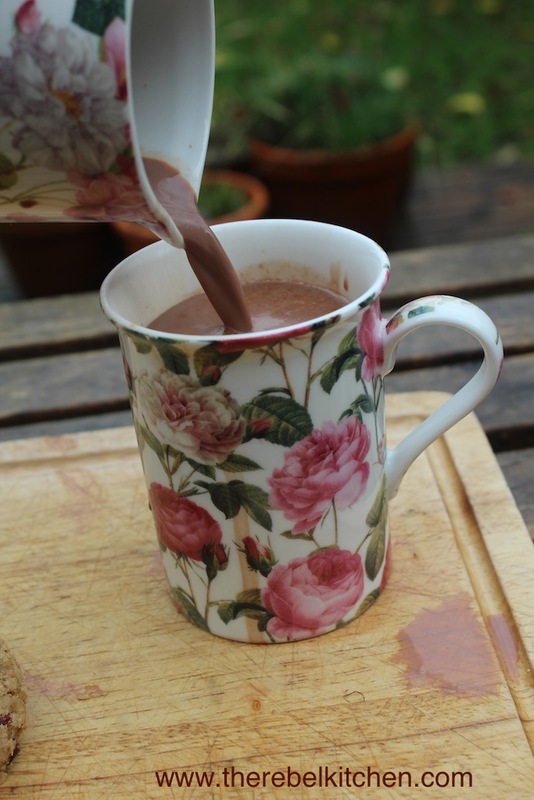 Serve the hot chocolate into the mugs and top with a spoon of the brandy cream. You could sprinkle a little more cocoa on top for effect.